Mr. Ajay Nahar is the accomplished architect behind the grand edifice of Nahar Hospital – a space that would heal millions of people. With his ingenuity, skill, quality management and eye for detail, Mr. Ajay Nahar brings in tremendous dynamism to the Group, taking on the multi – faceted roles of developer, planner and designer. 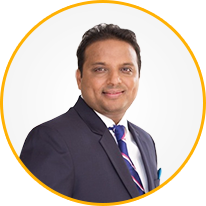 Over a period of 15 years, this entrepreneur has established a strong base for futuristic growth in the construction industry by delivering projects that are redefining the face of luxury in Mumbai. His firm – Nahar Projects, operational since 2001 specializes in providing state-of-the-art management and coordination expertise. The winner of various awards including ‘The Young Architect of the Year 2010’ and ‘Best Business Practice’ by Accommodation Times in 2014, Mr. Ajay Nahar continues to inspire the Nahar Group with his endless enthusiasm. Her kind heart is the Nahar Group’s greatest strength. Smt. Sohini Devi Nahar, wife of Mr. Sukhraj B. Nahar, CMD, Nahar Group, devotes her time to social causes. She has helped create a host of institutions that contribute to education, health care, spiritual and religious causes. Smt. Sohini Devi Nahar has also worked towards providing the most vital of human needs, food – in rural, semi-urban, urban areas and even metro cities. In the tough world of real-estate, Ms. Manju Yagnik remained a voice of reason & compassion. Over a period of three decades, this astute & inspiring persona has been vital to the tremendous success of the Nahar Group. 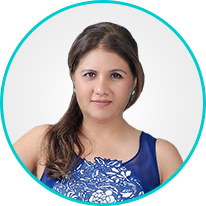 Ms. Manju Yagnik’s core expertise lies in project planning, product development and marketing strategies. Her dynamism reflects in her process driven and optimum result-oriented approach. She has a pulse on the market, especially as it evolves rapidly, and utilizes her extensive knowledge for the benefit of the Nahar Group. 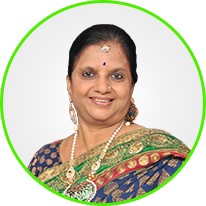 Not surprisingly, Ms. Manju Yagnik is recognized as an industry icon and has created a position of thought leadership over the years. Currently also contributing as VP of Naredco & governing council member of Naredco, she continues to actively support the Real Estate industry and society at large.